I think that it follows when you become gluten free, you learn more and more about the wonderful things that NATURAL foods can do for you. This was the case with me and coconut. 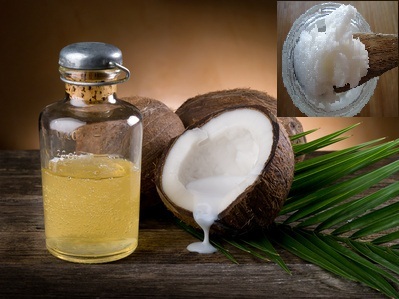 While I don’t really care to eat the stuff……….I stumbled upon a great article written by Jennifer at Hybrid Rasta Mama that I am sharing with you explaining what this wonderful oil does and giving you 160 uses for coconut oil!! She has other really good information on coconut oil relating to specific conditions like Alzheimers, Hashimoto’s, pregnancy etc…on her site, check it out when you have a few minutes. I’ve been using coconut oil for SO many things in the last 6 months and have had positive results. My quick success story – A couple years ago I had gotten a tattoo on my ankle/foot and discovered that I am allergic to the red ink. It never healed right, everything that was red was raised and sometimes itched, this went on for almost two years. I started using the coconut oil on my skin, rubbing it in instead of lotion (the gluten, mineral oil, paraben lotions were really giving my skin a fit too). Within one month the raised area on the tattoo was GONE! My skin is totally healed and smooth and does not itch. I’m thrilled. Approximately 5 tablespoons of mix are equal to 1 1¼-ounce package of onion soup mix. To make onion dip: Mix 5 tablespoons with one pint of sour cream. Great served with some Snyders gluten free pretzels! This makes approximately 1 1/4 cups. Since Lipton Onion Soup Mix changed their formulation and now has barley (gluten) I found this recipe on food.com and adapted it to make your own gluten free version! I bet this will be much more economical too!! Herb-Ox bouillon is gluten free and you can find it at your local Walmart! If you want to reduce your salt intake, I believe they have a reduced sodium version as well. Your onions, onion powder and celery seed should all be gluten free…..double check your labels to be safe. OMG! I’ve Been Glutened!! Now What? It’s gonna happen, no matter how safe you’ve tried to be. You have accidentally ingested something with hidden gluten or has been cross contaminated and now you are sick. Ugggh! Woulda, coulda, shoulda……………yeah………we know……..but it’s done…….now what? First off, don’t beat yourself up about this. It happens to all of us and probably won’t be the last time. It is important to figure out where the gluten came from and make a mental note so that you can steer clear of whatever it is in the future. Drink lots of water. It is important to stay hydrated. Sooth your tummy with some tea. Pick one or a combo of: Ginger, peppermint, fennel or chamomile. Fresh is great, if not dried/teabags will work too. All of these are great for calming the tummy, relaxing you and helping to relieve spasms, aches and gas. 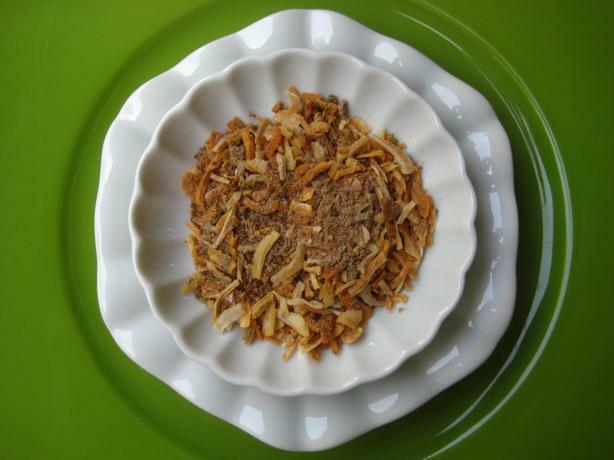 Ginger – I keep candied ginger around just because and just in case. Ginger is a wonderful little root that has all sorts of benefits like relief from inflammation, heart burn, nausea, stomach spasms and aids in digestion. Of course if you have fresh ginger and want to use that for your tea or in your food that is even better! Eat less and be bland! Sick to foods that are easy to digest, mashed potatoes, rice, soup, smoothies……. Your tummy is already fighting the gluten, don’t make it work harder by trying to digest dairy, spicy or high fiber foods too. Give it a day or three of feeling good before you start your regular eating again. Get in a little exercise. Key word here…….a little. Don’t go crazy, but do some stretching or yoga. Exercise will give you a little more energy and actually helps to detoxify your body. Activated charcoal can help to alleviate diarrhea, bloating, gas, constipation, abdominal pain, etc. When ingested, the activated charcoal adsorbs toxins and takes them out of the body before they can be absorbed. Keep in mind that charcoal will absorb EVERYTHING, including medicines and vitamins you take and move it out before it gets a chance to absorb. So you do not want to take this for days on end because while you are eliminating the toxins you are also eliminating all of the good stuff too! Probiotics. If you are not taking them already, now is the time to take some. You gut is out of balance. The “good bacteria” will help to get things back in order. If you are not on them regularly, then take them till you feel better and keep them on hand. If you are already taking them, up your dose for a few days. Personally, I use FLORAJEN which for me works much better than the other ones I’ve tried. Bentyl. Before I realized that I was gluten intolerant, Bentyl was prescribed to me for stomach spasms. Since being gluten free, I keep it on hand and take it when I’ve been glutened and my tummy is not cooperating. It does not take away spasms 100%, but makes them MUCH more tolerable. GlutenAid – This is a product at CVS that claims “CVS/pharmacy GlutenAid is specially formulated for individuals who feel unwell after eating wheat or grain and thus may have an intolerance to gluten.” I HAVE NOT TRIED THIS. But if you CLICK HERE there is another gluten free blogger that tried it and you can read what she experienced. Please know that there is no cure for celiac or gluten intolerance. The only way you can be symptom free is to completely avoid gluten. This pill may or may not help with symptoms if you’ve been accidentally glutened and is absolutely NOT a pill to take so that you can purposely ingest gluten. You will need to determine for yourself if you think this is worth it. Digestive enzymes. These help to breakdown different foods so that they can be absorbed/processed by the body. Different enzymes help with different foods. Some people have found this helps when they have been glutened. Personally I have not tried this so I cannot say yay or nay. But I will say again – if you are celiac or even gluten intolerant, this is not something that will “allow” you to eat gluten. Ibuprofen. This can help to reduce the inflammation. Please be sure that your brand of ibuprofen is gluten free! I hope something in this list will help you! Keep in mind, this too shall pass……. Well lets start with the fact that gluten has NO nutritional benefits. So by removing gluten from your diet, you will not be missing out on something important. There are many people who have no issues at all with gluten and this post is NOT about them. This post is for the 15% of U.S. population who have gluten sensitivity in some form. Those with some form of gluten sensitivity can experience many problems such as hives, difficulty breathing, and digestive issues; in serious cases, a person can experience anaphylaxis, a sudden and severe reaction that can be life-threatening. Gluten can also cause damage and inflammation in the small intestine, bloating, weight loss, joint pain, weight gain, fatigue and headaches. 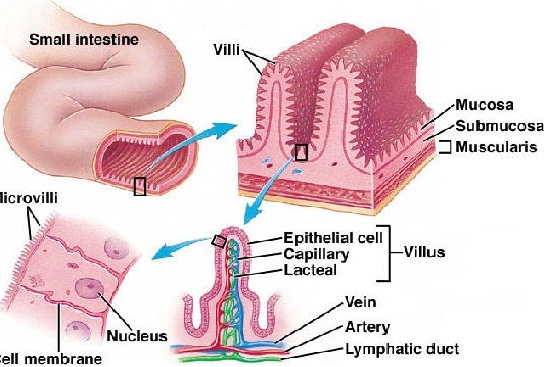 For those of you who might like a little more detailed description of what it does in your body: you have small hair-like projections on the intestinal wall which are called villi. Their function is to absorb the nutrients and vitamins as food passes through the intestines and help break it down. Gluten attacks the villi, wearing them down so that they can no longer function as they should (no longer absorbs nutrients and vitamins) which leaves you malnourished. Sometimes, tiny holes are created in the intestinal lining, which lets food particles leak into your bloodstream rather than being broken down and absorbed normally. Your body’s natural defense system will fight these “foreign invaders” and attack the body. You may see symptoms like skin rashes, eczema, bloating, mouth sores, and headaches and more. Re-read that part……….TWO to THREE HUNDRED possible symptoms! That is crazy! No wonder why it is so often mis-diagnosed. Different organs can be affected by different types of gluten sensitivity and it can affect more than one area, again complicating diagnosis. When damage takes place in the cerebellum, the balance center of the brain that controls coordination and complex movements like walking, speaking and swallowing. This is called Gluten Ataxia and is a neurologic condition characterized by the loss of balance and coordination. However it can also affect fingers, hands, arms, legs, speech and even eye movements. Typical symptoms include difficulty walking or walking with a wide gait, frequent falls, difficulty judging distances or position, visual disturbances and tremor. When it affects your skin it is dermatitis herpetiformis. This is a chronic blistering skin condition, characterized by blisters filled with a watery fluid. When gluten affects the small bowel, this is celiac disease. Celiac disease is an immune reaction, a severe sudden onset allergic reaction, to the protein called gluten. While celiac disease is initially an auto-immune disorder, it is also a disease of malabsorption, because essential nutrients are not absorbed. If you imagine a continuum of gluten intolerance symptoms, celiac disease is usually at the most extreme end with immediate autoimmune reactions. Gluten intolerance often has a slower onset than celiac disease, and may be hard to diagnose due to the broad range of symptoms and causes. Undiagnosed for long periods of time, food intolerance have been found to contribute to diabetes, bowel cancer, anemia and osteoporosis. Abdominal cramps, gas and bloating; Anemia; Diarrhea; Easy bruising; Epistaxis (nose bleeding); Fatigue or general weakness; Flatulence; Fluid retention; Foul-smelling or grayish stools that are often fatty or oily; Gastrointestinal symptoms; Gastrointestinal hemorrhage; Infertility; Iron deficiency anemia; lymphocytic gastritis; Muscle weakness; Muscle wasting; Nausea; Panic Attacks; Peripheral neuropathy (nerve damage); Stunted growth in children; Vertigo; Vitamin B12 deficiency; Vitamin D deficiency; Vitamin K deficiency; Vomiting; Voracious appetite; Weight loss or Obesity. Addison’s Disease; Anemia; Arthritis; Ataxia, Nerve Disease, Neuropathy, Brain Damage; Attention Deficit Disorder; Autism; Bacterial Overgrowth; Casein / Cows Milk Intolerance; Chronic Fatigue Syndrome; Cognitive Impairment; Crohn’s Disease; Depression; Diabetes; Down Syndrome; Dyspepsia, Acid Reflux; Epilepsy; Fertility, Pregnancy, Miscarriage; Fibromyalgia; Flatulence (Gas); Gall Bladder Disease; Gastrointestinal Bleeding; Infertility, Impotency; Inflammatory Bowel Disease; Intestinal Permeability; Irritable Bowel Syndrome; Kidney Disease; Liver Disease; Migraine Headaches; Multiple Sclerosis; Obesity, Overweight & Celiac Disease; Osteoporosis, Osteomalacia, Bone Density; Psoriasis; Refractory Celiac Disease & Collagenous Sprue; Sarcoidosis; Schizophrenia / Mental Problems; Sepsis; Sjogrens Syndrome; Skin Problems and Thyroid & Pancreatic Disorders. THIS IS NO JOKE PEOPLE! I would like to be clear here………….this does NOT mean that everyone with depression or an autoimmune disease or any of the above mentioned symptoms/disorders/conditions has gluten sensitivity. What it DOES mean is that if you have any chronic illness, or one or more of the above listed issues and do not seem to experience relief from what the doctor prescribed, perhaps you should consider the cause could be gluten sensitivity. How can you correct this? You need to treat the cause not just the symptoms. 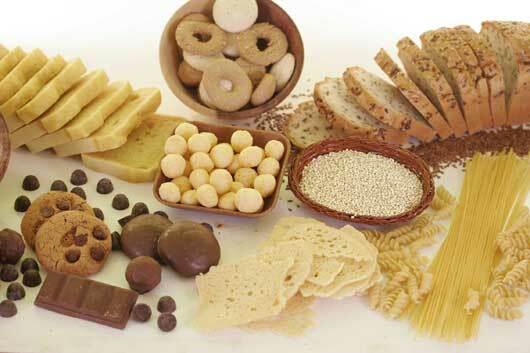 Eliminate gluten-from their diet – not just “cut back” on it. This information only scratches the surface of what is available. Please check WebMd, Celiac.org, Celiac.com and many other sites for more detailed info. I hope that this has given you a little insight as to the seriousness of gluten intolerance. Almost all wines are naturally gluten-free, but watch out for wine coolers where they might add “barley malt”…..which is not gluten-free. Traditional beers, ales and lagers are not gluten-free. However, there is a growing number of gluten-free beers available. In my neck of the woods, Redbridge (made by Budweiser) is readily available at liquor stores and even at my Walmart. If you are a beer drinker, really check into this (google gluten-free beers), I found reference to almost 30 different ones. How can it be gluten-free if some of these things are made from wheat? Distillation removes the gluten. Read, read, read all labels. Sometimes they add flavors after distillation. These additions could have gluten. If you can’t figure it out by reading the label, check with the manufacturer. Live, LOVE (and drink) the gluten-free life!